The South coast of Portugal is a beautiful part of the country that offers so many beaches and a lot of them are big enough to fit everyone that's visiting. The harder it is to find the beach however, the emptier it is going to be. 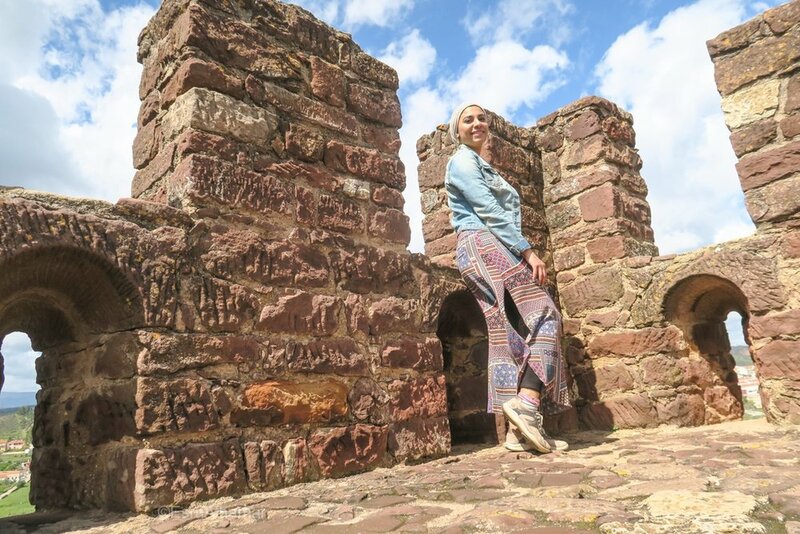 Beaches are only one part of it, it's always great for nature hikes, historic sights and lots of relaxation. I came to the South mostly for a surfing and yoga retreat, but I found so much more beyond that as you I'll see in this post. If you get the chance, then do make an effort to visit, especially, in the off season or the start of the season to get a more authentic experience. With the spread of Islam after the 7th century to North Africa, some of the regions around those areas such as the Southern Spain and Portugal were influenced by the religion of Islam. 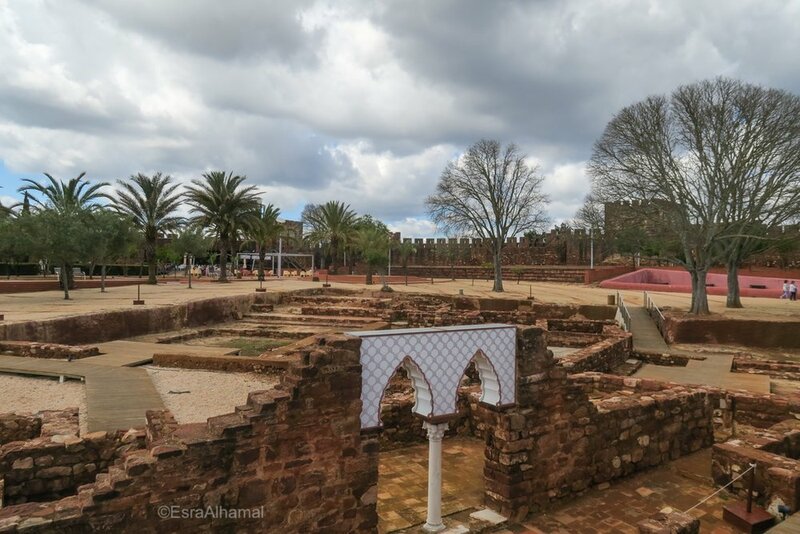 Some of the cities like Silves were fortified and that protected them longer. In the 12th century, Portugal were ruled by the Christian ruling again. 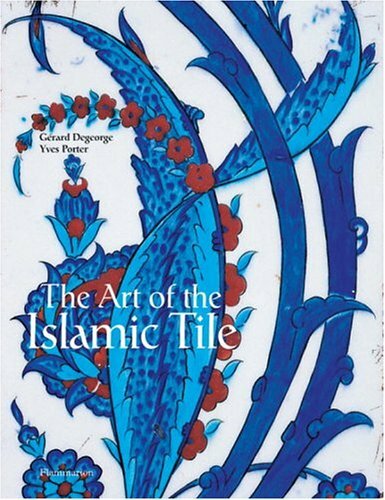 A lot of the Islamic sights have been lost because of the The 1755 Lisbon earthquake. 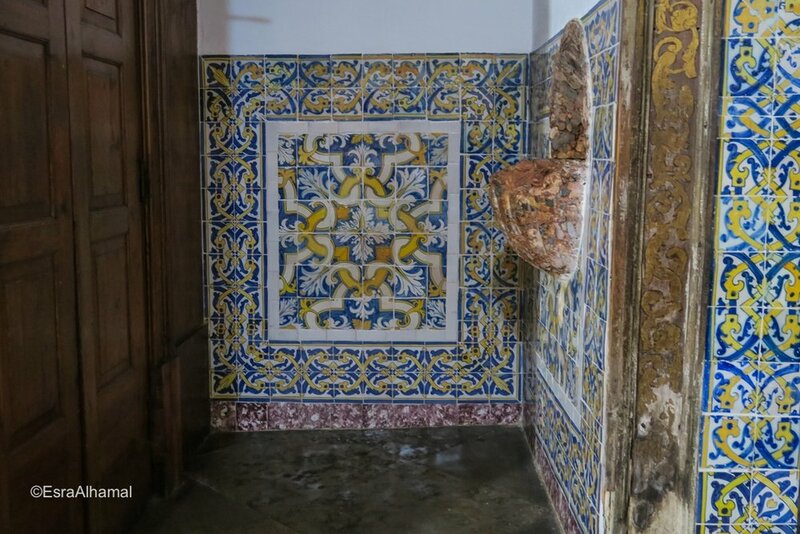 The affects of Arabs can be seen in the tile work and some of the Portuguese language. 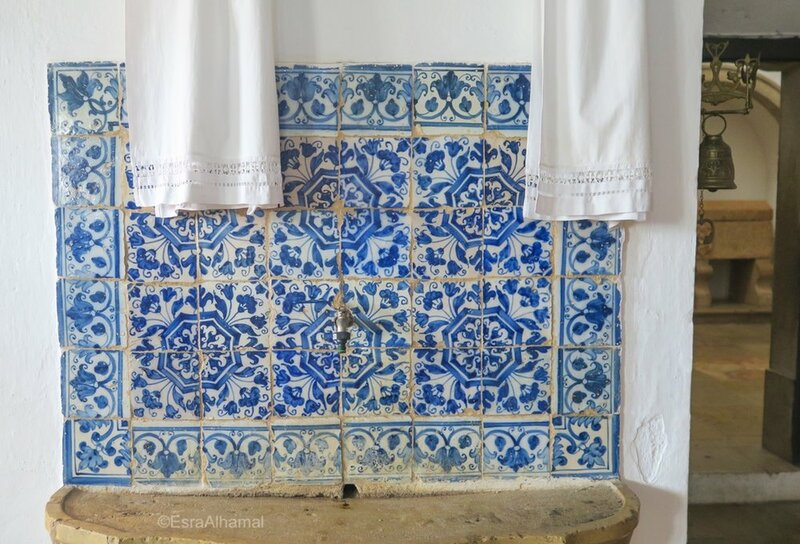 Tiles are called "azulejos", which sounds almost exactly as the Arabic word " Al Zellige" that is used to describe Moroccan tiles. 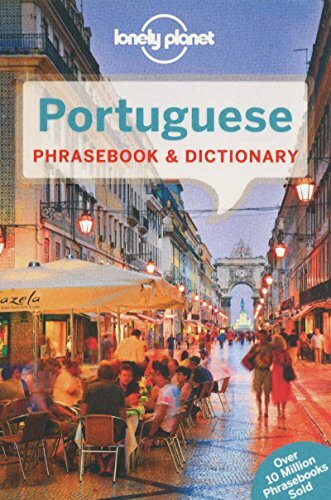 Even the word "Algarve" goes back to the Arabic word "Al Gharb" meaning West. Referring to South of Portugal as the area West of Spain, where the Islamic Kingdom extended. On my trip to Algarve, I found it very muslim friendly. All my visits to Portugal have been really good and I am very thankful that is the case. Sometimes people are curious or just interested. A smile and a conversation usually break the barriers and the isolation. When I visited in April, the weather was a mix of rain and sunshine. That possibility of rain makes the South a less crowded place. The summer gets so busy that the ocean waves are not enough for everyone and the roads are filled with parked cars and vans. The start of Fall is a good time to visit especially that families are back to their home countries for their kids school. For weather predication through out the year check this graph from Holiday Weather. The predictions aren't very accurate, so it's better to use this as a general guidelines. It might be worth asking some locals too. I started the trip from the furthest point of the South coast in Budens, which is an hour and a half from Faro airport then I made my way back slowly to spend four days in the Chicks on Waves yoga and surfing retreat. I then took a bus to Lagos and stayed there for three days. 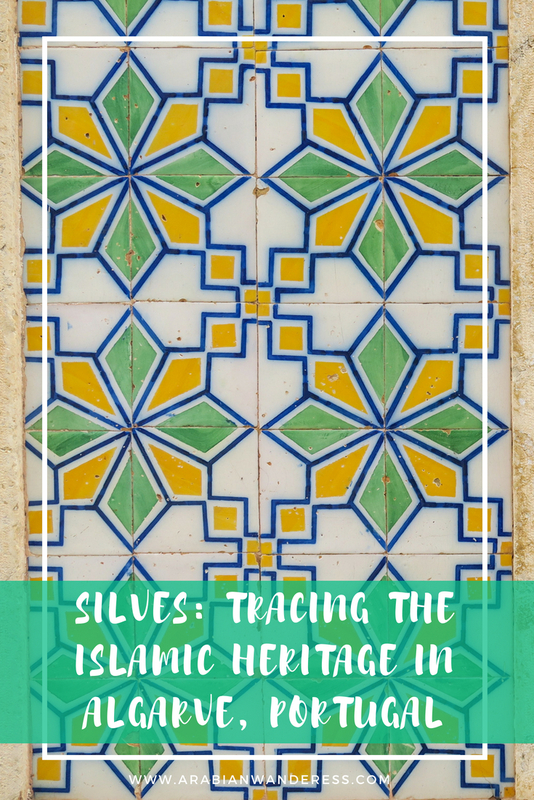 During the Lagos stay I did a day trip to Silves to trace some Islamic heritage in Portugal. I took a train from Lagos to Faro. I spent the last three days in Faro and took another day trip to Albufeira. Taking my luggage with me and using public transportation resulted in some back and forth, but it was still comfortable enough. If you are driving in the Algarve then your trip will be much smoother than mine. Budens and surrounding area is a great place for yoga and surfing. There are so many retreats there such as the women only one I went to, Chicks on Waves, or I heard Good Feeling is supposed to be good. In short, it is a good place to relax and enjoy the beach life. Lagos had a great little city vibe going on and they had the best vegetarian restaurants in Algarve. The cliffs and walking on them and next to them was the highlight of my entire trip! Silves is a cute little town with the famous Moroccan castle and I liked some of the tiled buildings there too! Ten days were enough to see all the highlights, but there are more quaint villages and gorgeous nature to see. I could have spent three weeks there easily. My favourite city was Lagos and I would go back again for another visit for sure. 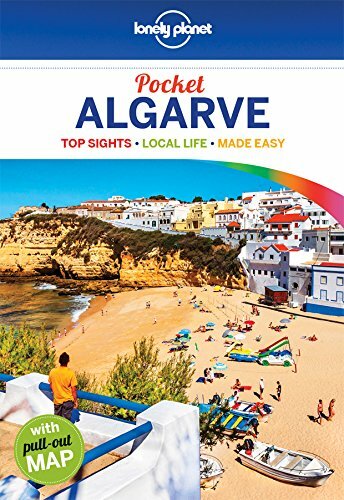 If you are planning to go to Algarve in April or November then make sure you pack an umbrella and a rain jacket, but if you are going on the sunny months, then pack a sunhat instead. The water is VERY cold, so whatever season you are going, I would pack a little sweater or a cardigan to wear right after you come out of the water. If you are modestly clothed traveller like me, I would avoid the super hot months from June-August because being there under the hot sun, wearing layers can be slightly overwhelming unless you are planning to spend the majority of your time in the water then you are good! The food in the Algarve was okay. I mainly liked the food I had in Lagos, but Faro was not too bad either. Both of those two bigger cities had a few nice options. The great thing is that there is a lot of fresh vegetables and sea food. I think staying in a rented flat with a kitchen might be a good idea so you can use their delicious fresh produce to cook for yourself! Since Algarve is very touristy, the prices there can get expensive when added up. 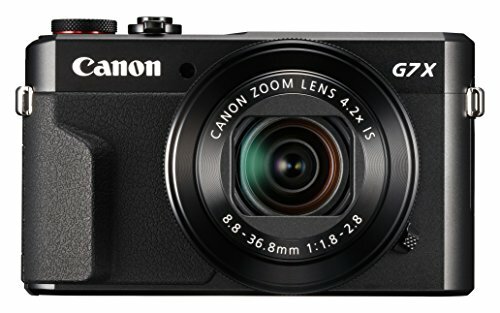 My budget aim there was mid-range; comfortable, but affordable. Flight from London to Algarve & Return in April on Ryan Air £180 (I booked it the same week I was flying, but you can find cheaper flights if you are more organised. Over to you: What are you planning to do in the Algarve? Lagos was my second stop after the Chicks On Waves retreat since it's the closest main city. I had big plans for the city until it started raining heavily and continuously. 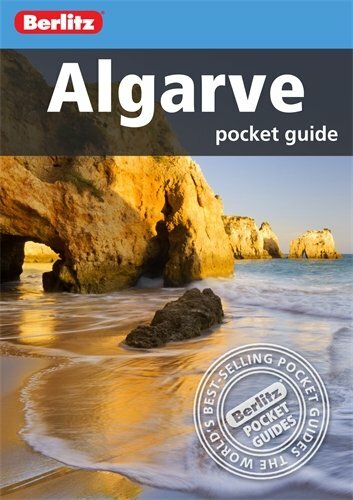 Online guides and other posts all mention the sunny days of the Algarve. A lot of them failed to mention that the Spring here has a strong chance of rain. On the one hand, April is very quiet in the city and there are only a handful of people around, but on the other, people aren't there for a good reason! The rain in Lagos doesn't play, it's serious and heavy. If you are going to Algarve in April at least pack a rain jacket or an umbrella. Thankfully, I got some dry hours of sunshine and it was glorious. Lagos was actually one of my favourite parts in the Algarve. 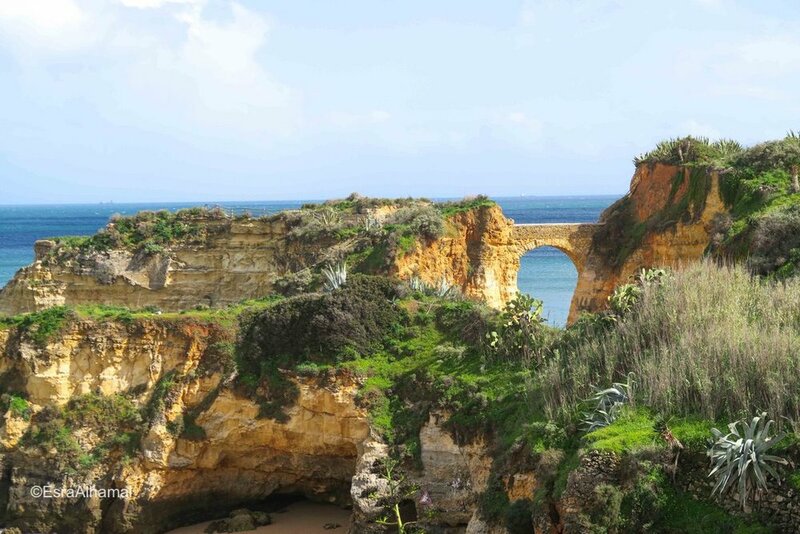 All the cliff photos that you see in adverts about Algarve come from Lagos. My only regret was not staying there longer! The first thing I noticed coming into Lagos was the stone city wall. During my walk, I went to the two main churches there: Igreja de Santa Maria and Igreja de Santo António. 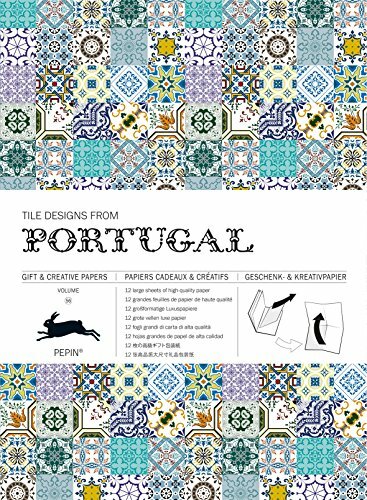 They follow the traditional Portugese style of architecture and have some lovely geometric tiles inside of them. Another place I visited was the Forte da Ponta da Bandeira, which is the stone building facing the harbour dating back to the late 17th century. Ps. There are some nice walking maps online. I downloaded an offline walking map of Lagos from GPS my city. One thing that I enjoyed about Lagos was all the cool graffiti they had on offer. I spotted a few really cool pieces when I was there walking around the old centre. Thankfully, right next to my guesthouse was the InLight yoga studio and they offer various classes daily, so the walk in the rain wasn't too bad for three minutes. It was nice to pop down to a session and use my time wisely rather than staying in the guesthouse the whole day. I saved the best for last. This was my absolute favourite activity in Lagos and it is really worth the hype. The second, the sun came out, I headed there and because beginning of April is still the off-season, I had the cliffs for myself. I led myself from the old town to the further one and I started from the beach all the way up. It took me about four hours and I could have stayed longer, but I didn't want to be alone in the middle of cliffs at night. There are so many fun options to do kayak and stand up peddling. Sadly, the weather was not on my side and could not do either, so please do it for me and tell me how it is! 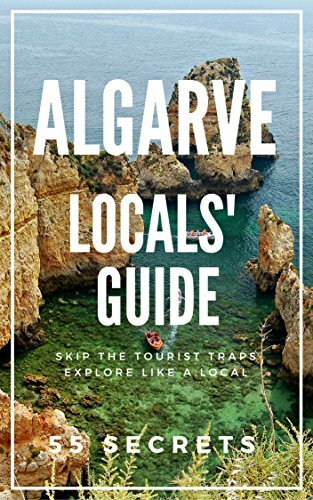 Where to stay in Lagos, Algarve? I happened to stay in the cutest little guesthouse in the old centre of Lagos. Having various spaces gave me a good way to spend my rainy morning indoors. I think I would have suffocated if I was staying in a hotel room. I cooked breakfast in the kitchen and stayed there reading from the balcony. The other thing I loved that this guesthouse is located in the middle of old town, which meant that everything was close by. The only down side was that the old town is full of bars and party spots and it meant some loud noises at night. I LOVED the food in Lagos. Although, I didn't find any halal options, I really enjoyed the vegetarian options they had! Below are the restaurants that I ate in because they were a walking distance from me and they had good reviews. Last Monday of every month. You can unsubscribe at anytime. 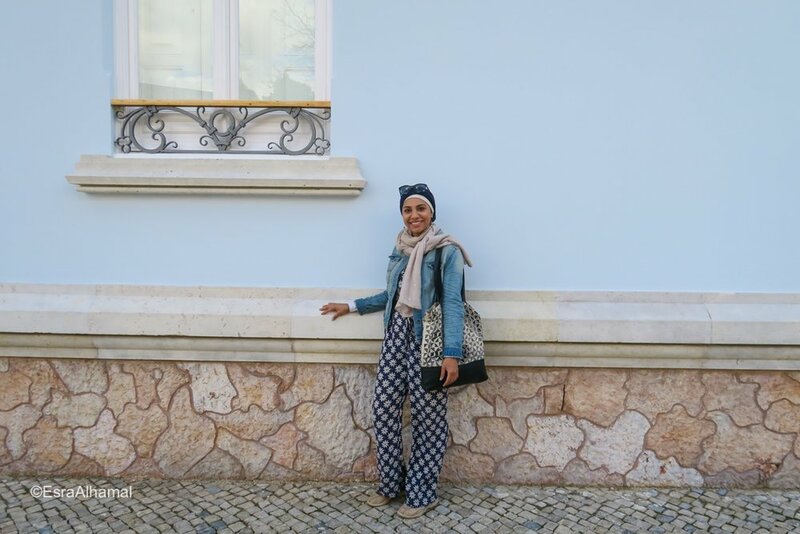 When I finally got some sunshine in Lagos, I decide to go on a day trip to Silves to trace the Moorish heritage in the area. The main thing that is left from that heritage is the castle walls that you can see standing with all their might in the middle of the city. Not much else is left of it though, but it is still good to go and see their influence that is clear through the little chimneys on top of the houses and the tiles inside and outside buildings. I tried to find the mosque that appeared in Google maps, but after a log walk all over, I came to a regular locked house. It could be the mosque sight, but who knows. I asked some of the locals, but no one knew either. How long do you need to see Silves? The total time of the trip including public transports, sights and a sit down lunch was five hours. How to get to Silves from Lagos or Faro by Public transports? There are two ways from Lagos to Silves: by bus, which is cheaper and stops you closer to the sights, but it takes longer. The other way is by train, which is the way I used. The Lagos train station is on the other side of the old town and there is a pedestrian bridge over the marina you can use to cross. I bought my return ticket from the counter at the train station for €5.90. The journey was about 40minutes. It is the same train line coming from Faro, so you can come from Faro to Silvas by train as well, but it will take a little longer. Ps. Note the time of your returning return because they are every two hours. The train station in Silves is 20-30mins walk from the beginning of the old town depending how fast you walk. I did not see any taxis outside the station. There was a bus stop, but I didn't the timing, so I walked. The walk from the station is near a highway/Motorway, but it wasn't too bad. There weren't many cars and I walked by the side on the little pavement. There were other people following the same path so we all walked in one line. It's also worth noting the other stops the train stops at in case you want to combine this trip with another city. My suggestion will be Portimão since a lot of activities and boat tours depart from there. You can even get a boat from Silves to Portimão . I was taking it easy on my trip, so I only stopped at Silves. The benefit of walking from the train station is the lovely view you get of the castle and the cathedral. One of the first things to see when you walk from the train station is the little traditional market they have there. It was a cute little thing with fresh fish, fruit, flowers and some local produce. It took me five minutes to look and photograph the whole thing. If you continue on walking, you will get to the town centre and start seeing the castle walls. It was only five minutes walk from the start of the old town. The only thing that remained is the walls and you can walk around them. They had three exhibition spaces; one with a few old objects, one about animals and one with black and white photos of the castle. I didn't like any of them and it would have been better to use the spaces with historic exhibitions that really transport you through time and gives the place an added value. It took me about an hour and a half to walk around the castle walls slowly and photograph the things I liked. I did not even think much of the town hall and did not intend on visiting it but by chance I stood in front of it and was blown away by the tiles so I went in and loved the architecture of the main hall between the staircases. I must have stayed there for 20 minutes taking photos of the tiles any of myself next to them. The ground floor has the tourism information and a toilet. From the train station I saw the church in the skyline of Silves and I headed there to see how the inside is. It was a nice church and it took me 10 minutes to see every corner of it. It was good for a sit down and to see the religious symbols of the city. Silves is a cute little town and the old town has so many little streets and alleyways that were mostly empty at 1pm in April. I was actually walking around to find the mosque, but it must have moved somewhere else without Google Maps being updated, but I just continued walking and photographing the tiled buildings. The old town is mainly touristy, so all the food spots I found were over priced restaurants and I had to eat in one because I was starving. The price of the fish was based on the weight, so check how much it is before it comes to your plate. Half of the Dorada fish I ordered was €17. If I knew, I would have had lunch back in Lagos and then came to Silves to see the sights. I would sugguest only having a beverage there and getting the train back if you are on a budget. If not, enjoy yourself! Over to you: What are you planning to do in this destination? I heard mixed reviews about Albufeira some people really enjoyed it and other friends of mine completely hated it. It is one of the most mentioned cities in Algarve, so I decided to go check it out anyway for the day just to see it for myself. Let's just say that after visiting it, I won't be rushing back there. It really depends on the type of traveller you are and your purpose going there. 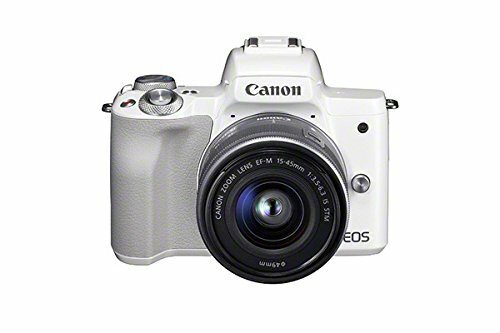 If you just want to go for beach and resorts then this will be so much fun for you. I found it extremely touristy and very built up. Going around it needs a car or an uber. The buses within the city take ages to come and I got really confused with the stations. It I a big place not like all the cute smaller towns I visited in the Algarve. I took the train from Faro to Albufira for the day and the return ticket was just over €6. You get a cheaper ticket if you are younger the 26 and have an ID with your age on it. The train station is far away from the old town and the marina, so you can either get a taxi from outside the station, book an uber or get the bus. There are a few things that can be done in Albufeira a lot of them involve relaxing on the beach since they have so many beautiful sandy beaches. On the one day I spent there I didn't have time for that and I am glad that my beach day was not there because there were too many people. I got to try a few other things though that you might like! After spending few days in Algarve and seeing the half empty beaches further up the coast. The beach in Albufeira was a bit of a shock because it was the most crowded that I have seen on my trip. Getting to the beach was difficult to figure out just by using Google maps, but I got there at the end for a little walk. 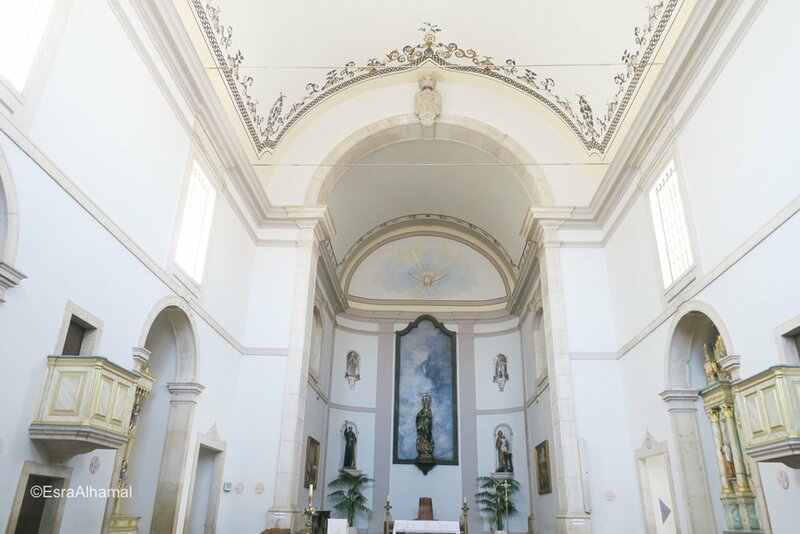 There is something lovely about Portuguese churches and there was one on the way between the old part of Albufeira and the beach. I went inside to cool down as well! It was small, but pretty especially the blue tiles. 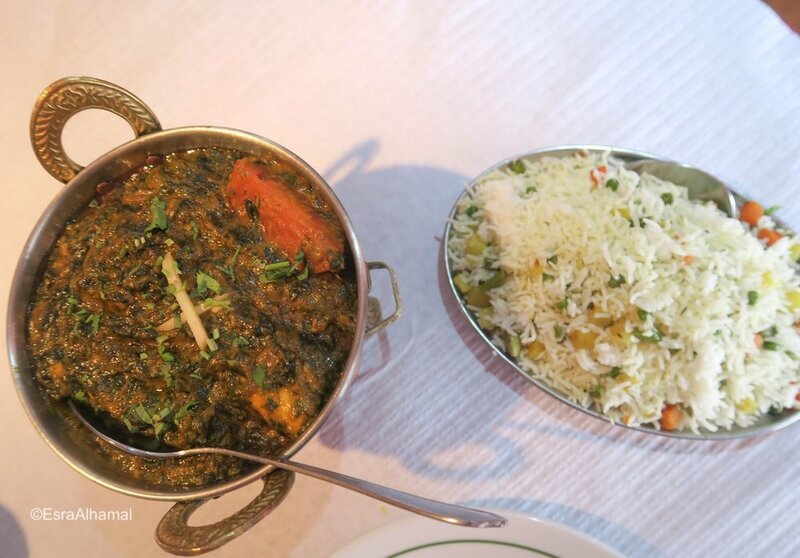 I found a nice halal Indian restaurant called Indian Night Tandoori that is a short walk from the beach. The food was very tasty and I liked resting in a nice air conditioned place for a little bit. It took me half an hour from the restaurant mentioned above to the marina. The walk was really pleasant and quiet. You can see the ocean from above. Faro is the point of arrival to Algarve and visitors usually book a bus and leave right away. I wanted to explore the city a little before I fly back home from the Algarve. 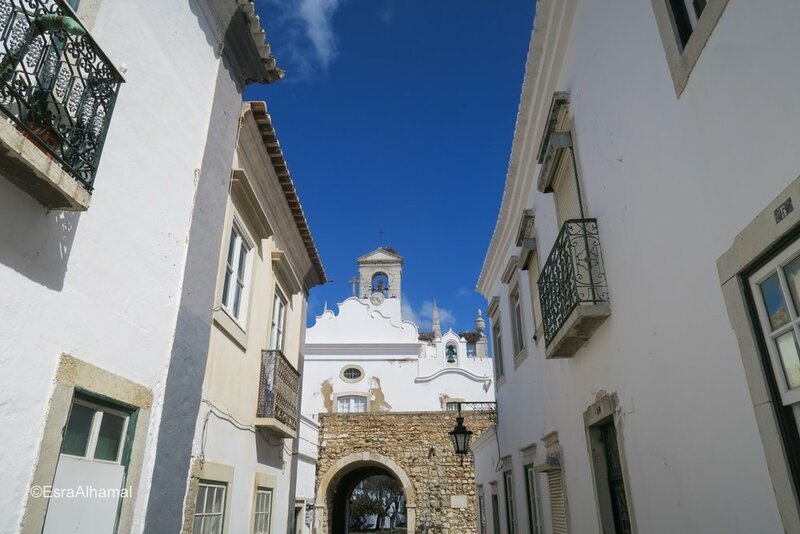 Tourism in Faro has been increasing in the past four years, but it's still a nice and relaxing place to be in. The busiest times in Faro is from July to September and it gets ridiculously expensive as well. I went in April and it was quiet and only a handful of tourists were around. There is a risk of rain and cold wind in April, but I enjoyed it! There is one mosque in Faro: Mesquita/Mosque de Faro, but it's far off the old town centre. According to Zabiha, there are also a few halal "Kebab" restaurants there, but I didn't try them. You can get the Bus to/from Faro Airport to the old city centre by public bus number 16 and number 14 only cost €2.30 for one way. All the good restaurants are closed on a Sunday. The archaeology Museum is free on Sunday mornings. Many things are still closed on Mondays. If you plan to eat a little later like 8pm and up, make sure you book a table or it will be really hard to get a table in the good spots. There are two companies that offer a free walking tour one with a guide. One company who has a blue umbrella and one a red one. The blue umbrella one was the first one that popped on google and I just went with it. It was run by Carlos and it was only 6 of us. It was two hours and a half and I loved all the information we got and the insider stories of Faro. 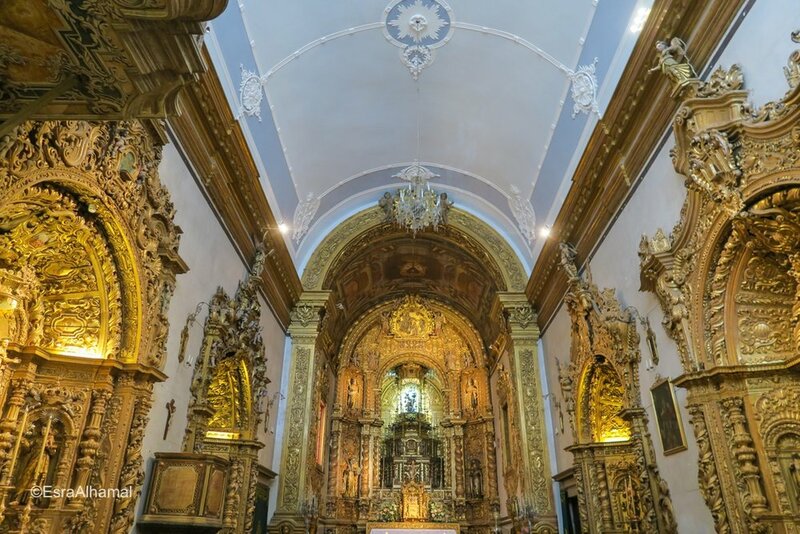 The three main sights in Faro for me were the archeology museum, the cathedral and the bone church. Each of them was very enjoyable and took about half an hour to go around, enjoy and photograph. On my walking tour, I learnt about the Faro old theatre, Teatro Lethes, and the history of it. An Italian doctor from Venice crashed on the shore of Faro and then fell in love with a rich lady from Faro. 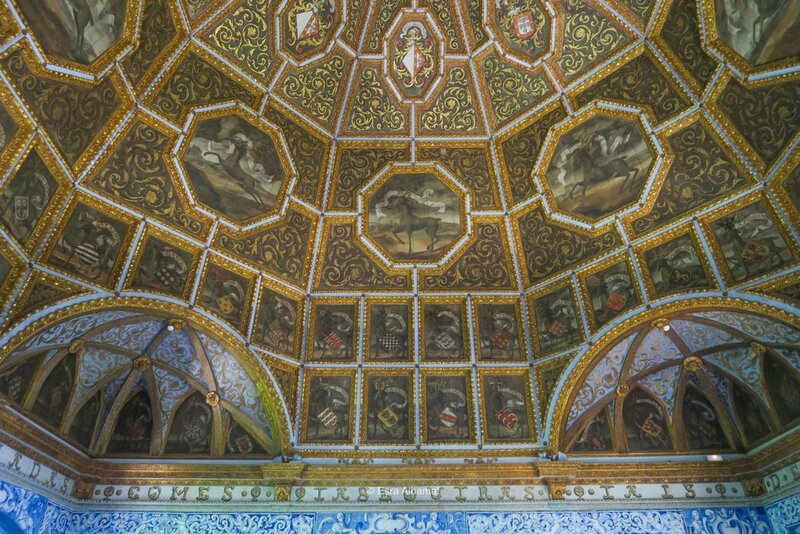 In his time in Faro, he missed the cultural activities and the shows of Venice. So, he brought the art scene to him! There was not anything on show when I was there, but if I go back, that's surely on my list! One of the main attractions of Faro is visiting the little islands around that make the Ria Formosa Natural Park . It extends 60 km along the Algarve coast between the beaches of Garrão and Manta Rota. I went on a boat tour to three of the islands: Farol island, which translates to the lighthouse, Ilha Deserta, which is the deserted island and Ilha Da Culatra, the fishing village. The last island was the most inhabited. I was meant to see a fourth one, but the waves didn't allow for that to happen. Although April weather was tricky with rain and unpredictable waves, the islands were empty and it was nice to have them all for ourselves. If you aren't keen on a boat trip, there is an option to do it as a walking trail as well. 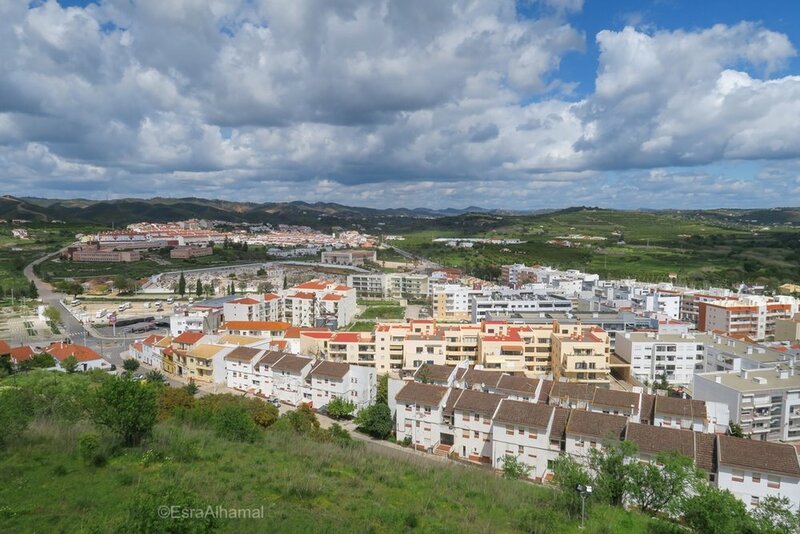 With my limited time in Faro and my desire to see the cities around it, I wanted to stay in a walking distance to the train station and the main bus station. I found a little guest house on Booking called: Guest House Capitao Mor . The location was fantastic, but the cleanliness level was low. 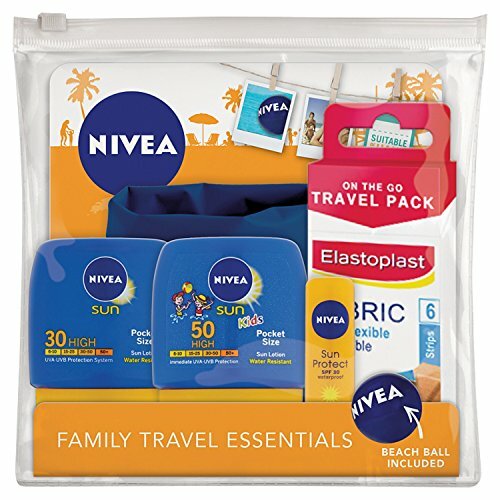 I actually got bitten by a spider ON THE FACE there, which made my experience really difficult. I was happy that I was leaving and I got it looked at when I got back to London. Thankfully it was ok, but my face still has the scar. It was reasonably priced though. 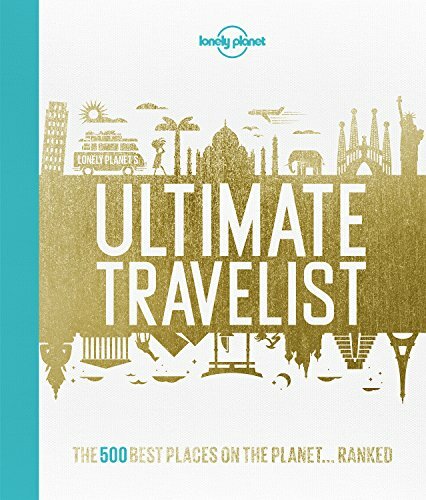 I have a few other recommendations below around some of the locations I visited: Aqua Ria Boutique Hotel , Faroway Hostel and Casas Adentro . Faro is a city that has a lot of people coming in and out of it, so the restaurants are usually packed at dinner time. I couldn't find a table for one in most of them. I was really confused on where to go, but I found a couple restaurants that I enjoyed: Se7e Pedras and Gengibre e Canela. I didn't find any halal restaurants on my way, but I was happy with the vegetarian options I had. Algarve is actually a little pricey and the sunnier the weather, the more expensive it would get. Food 10-20 euros for a meal. Can Muslim women go surfing? The short answer is ABSOLUTELY! I went to Portugal with Chick on Waves for one of their women only surfing and yoga retreat and it was an epic week of relaxing, self care and learning to surf in a comfortable women friendly environment. Going to Madeira in November sounded like a good idea when I checked weather websites. According to them, it hardly rains in Madeira in November. Sadly, it rained A LOT. It turns out that their rainy season starts from the last two weeks of November and lasts until February. April is also a rainy month there. It gets really crowded during the summer from June to August. 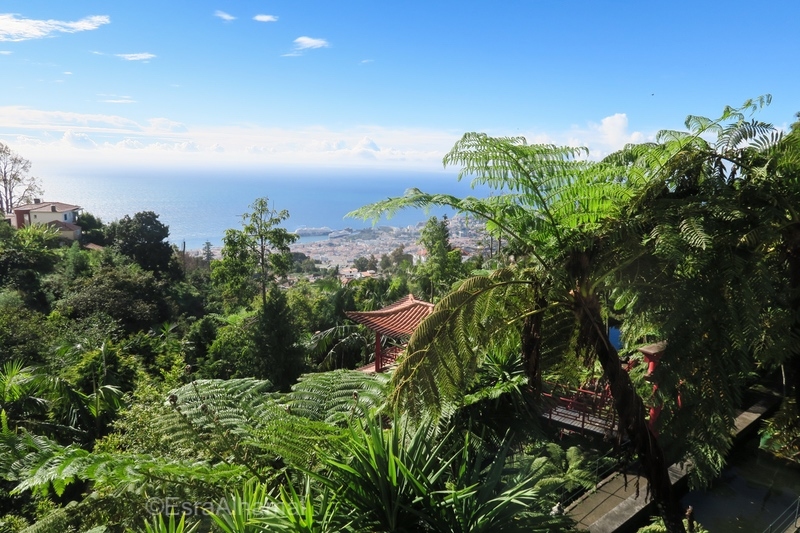 Where to stay in Madeira? Are Jeep tours worth it in Madeira? How much money is needed for five days in Madeira? 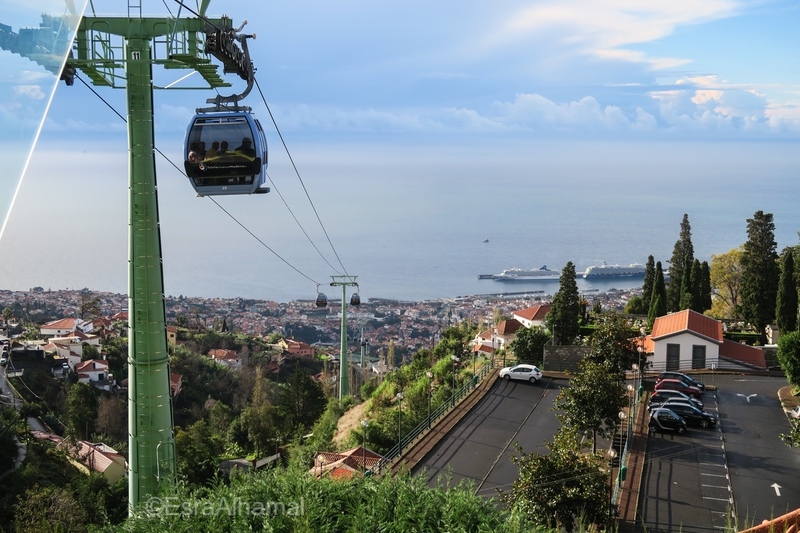 What are the Public Transports like in Madeira? Is it worth renting a car in Madeira? Are there Muslims in Madeira? Madeira is a beautiful little volcanic island. It is great for outdoor activities with black beaches all around. It is full of view points, walking trails and tropical gardens. Each side of the island is known for something different you can dedicate a day to each side to see every part of the Island if you like. I managed to see the West side and the central part. I attempted to see the East part, but the rain had other plans. The island gets really foggy when there is rain as well, which means that you can't see much. Regardless of the unfortunate weather conditions, I still enjoyed the natural beauty of the Island. The old part of Funchal was getting neglected, so the artists took part in an initiative to make that part interesting and worth the investment. Artists painted on the old doors and walls. In fact, if you are an artist and interested in adding a little charm to the city, you can contact the city hall of Funchal to get a wall! It was really cool just walking around and seeing the art there. You can get the cable cars from the old city in Funchal to go up to Monte, a little village with a church and two major gardens. It costs £11 each way. If you are not keen on heights, you can get the bus up there instead. Right outside of the cable cars exit is the Tropical garden and Palace museum. I would give this a minimum of two hours. You can even spend the whole day in the two gardens, but I wanted to fit as much as possible in my day, so I only spent the morning there. The garden is made with many tropical trees and flowers as the name suggests. There is also an Oriental garden that is Chinese and Japanese inspired. There is a museum inside for sculptures and gems in there. The display is nice, but you can skip it for more garden time. When you get out, you can get the popular touristy tobagan carts to the bottom of the road. I found them to be touristy and slightly pointless. When I read about them online, I was tempted, but when I saw them I decided against it. It.s 25 euros for one, 30 of two and 45 for three for 2km then you have to either get a taxi or the bus to get back to Funchal. I just walked for 4 minutes from the garden and waited for the public bus. This beach is relatively closer to the capital and has a rocky black beach. There is a facility with two pools just before the beach as well. It was completely empty in November because it was half raining and the water was super cold, but it gets really full in the summer. Those natural pools are warmer than the usual ocean water and could reach to 24 degrees in the summer. You can access them from the paid entrance that includes showers, lockers and bathrooms or the free entrance that has none of the facilities. The entrance is 1.50 euro for adults or 1 euro for students. Just before I went for a dip, it started raining so, I didn't go in sadly. This is a stunning beach with soft black sand. I liked it the most from the beaches we got to see. I was told that during the summer, that beach is completely filled with people and I can see why! There are few natural sea water pools there as well. That were emptier than the previous ones for some reason. This is the main market in Madeira and it offers a huge range of fruit, vegetables, flowers and fish. If you want to see all the possible fish, make sure you go really early before the fish is sold out. Everything looks really pretty there and it's so photogenic. Be aware of the prices there. They don't reflect the real price of the fruit. It might b better to get your fruit from street vendors instead. You will be offered to sample the fruit, but be aware that some vendors might add sugar to those samples. Levada means a water channel and they were dug out by farmers back in the day. They are now used as a walking trail. They are very popular. There are a number of them all over the Island. You can either go on your own following a route mentioned in the Madeira walks book (below), or you can get a tour guide that will walk with you there. It might be a good idea to go for this option just in case because it could get a little dangerous. I was planning to do the 25 waterfalls Levada walk, but I couldn't because of the very rainy and foggy November weather. It is also worth mentioning that many of the tourists companies have specific Levada walks for each day of the week, so do check when you are planning your trip. This was offered as a half day trip and it sounded really tempting. It was really interesting to see the valley surrounded by the majestic mountains. We stopped for two view points on the way there, which was nice, but you can get similar views from a lot of the view points. When we arrived to the Nun's valley, we stayed there for half an hour and were taken to a cafe that offered chestnut flavoured desserts that weren't impressive. That cafe was a complete tourist trap. I went with DG tours and the lady who drove us was nice, but it was really boring spending all that time on a mini bus. Thankfully we went before the paid entrances has started. It is getting built and soon there will be a charge to go in. It was a fun half day. The view point is popular because of the glass floor on top of the ocean. It was nice to see and take photos there. We had lunch in the close by cafe that is named after the view point, Cabo Girão Restaurant. I had a yummy large grilled fish. This spot is good for meat eaters too because they serve them on skewers. I would advice that you search what you want to do before you head there and you can decide where to stay based on that. 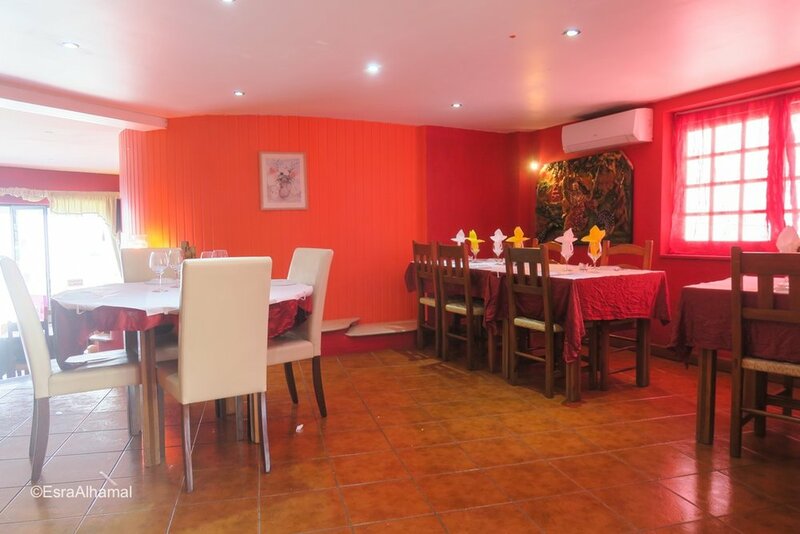 I wasn't sure what to do, so I picked a very central location near the old town of Funchal in Residencial Mariazinha by Petit Hotels. The food choices around it were a little touristy, but the location was great in terms of seeing a lot and most tour pick up points are walkable from there. I think they are a great way to see the island with a small group. If the weather is good, Make sure you request an open Jeep, especially if you want to do some filming along the way. The problem with these tours is the seating and the timed periods. The person who sits in the front has the most room, but the back seat is too tight for three and the two back seats are too squashed. The timed period in each place you visit can be really short. The tour is a good way to see the spots you want to come visit later, but not to actually fully explore the place. People love it when you make an effort to say a few words in Portuguese. All I said was thank you (obrigada) and it made everyone SMILE! I loved it. The banana and fish combination is not really traditional. I spoke to a few locals who denied that dish is traditional and admitted that they never tried it. Food: 15 euros maximum for dinner and light sandwiches for lunch like 5 euros. During the trip, I got on a few public buses. The routes were suggested by google maps and were accurate. Each bus ticket is 1.95, but you can get a bus card to scan depending on the location and the length of your stay. I only used the bus twice in five days, so two on/off tickets worked well for me. The further you go from the capital, the longer you have to wait for the buses. Some only come once or twice an hour. Renting a car in the island is relatively cheap. The petrol prices are not too bad either, but you have to be aware that their roads can be very steep and extremely narrow. Not to mention that some off roads can be very dangerous. According to a quick Google search there are about 1000 of them, and according to the tour guide, 25 Syrian refuges came to stay there as well until they wanted to go back home. People there were very friendly with me and I was treated well. There was one halal takeaway restaurant, but I didn't try it. The people of the island eat a lot of meat. Meat skewers are very popular in restaurants. Thankfully, many restaurants offer lots of sea food choices. Their popular local fish is black scabbard fish. You can also find tuna, salmon and cod. There are many places offering mussels, octopus and other sea creatures that I don't eat. Their prawns are overpriced. Some cafes, offer a mix seafood sandwich, but since I only the fish mentioned above I did not try it. A good meal of a sufficient main and a drink should not be more than 15 euros. If it is more then you are getting an over priced meal. I don't think you can survive as a vegan in Madeira unless you are happy with having potatoes, salad and garlic bread. Bakeries have a great selection of pastries, but most of the savoury options are made with bacon, ham, chorizo or chicken. 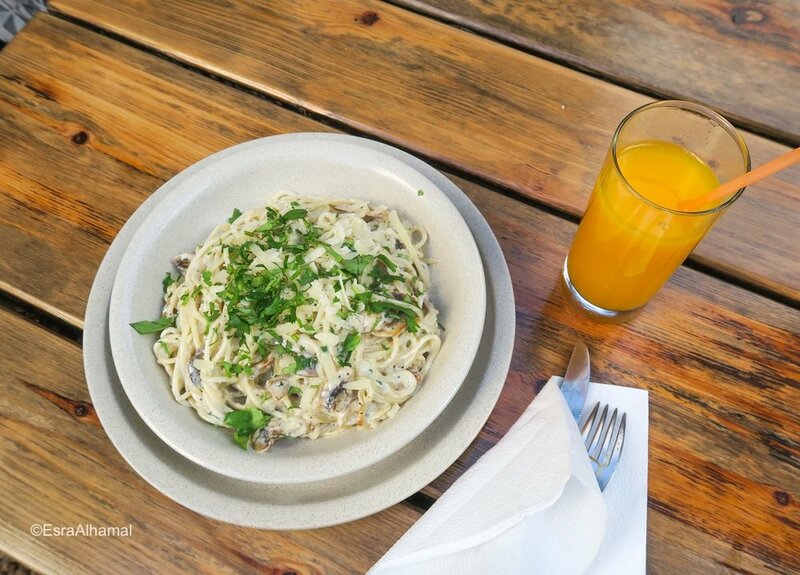 You can however ask for bread, butter and cheese if you would like a very cheap meal (0.80). I really liked the cakes are the sweet pastries there. I went to Confeitaria and was very impressed with their desserts. The cakes, biscuits and the sandwiches were all to die for! The pastel de nata there wasn't as good as Lisbon, so just try the other desserts they have there. 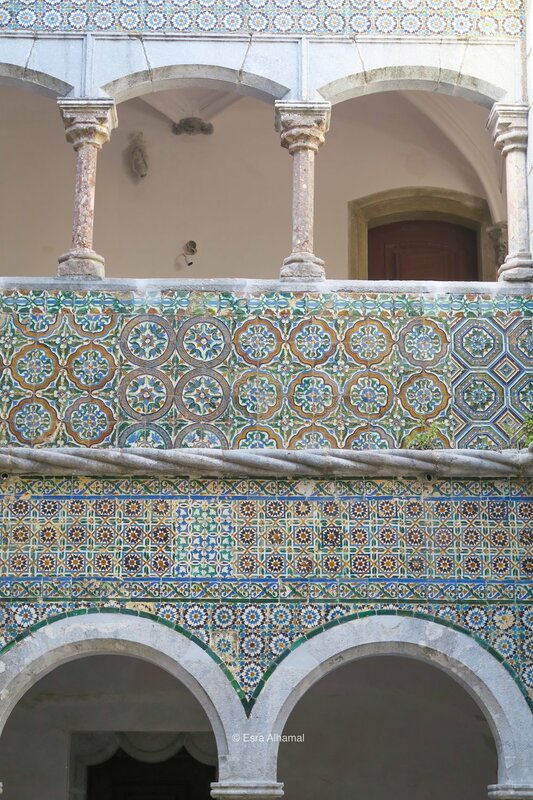 If you have read my six days Portugal itinerary, then you know I spent two days in Sintra. Sintra is a UNISCO world heritage site. It has a very different vibe from Lisbon and it's very relaxed. It's really great for the summer as well because it's much more mild than Lisbon and the evenings get a little cold. You can do Sintra in one day for sure, but you won't be able to see more than three sights because each one would need two-four hours depending how fast you want to be. 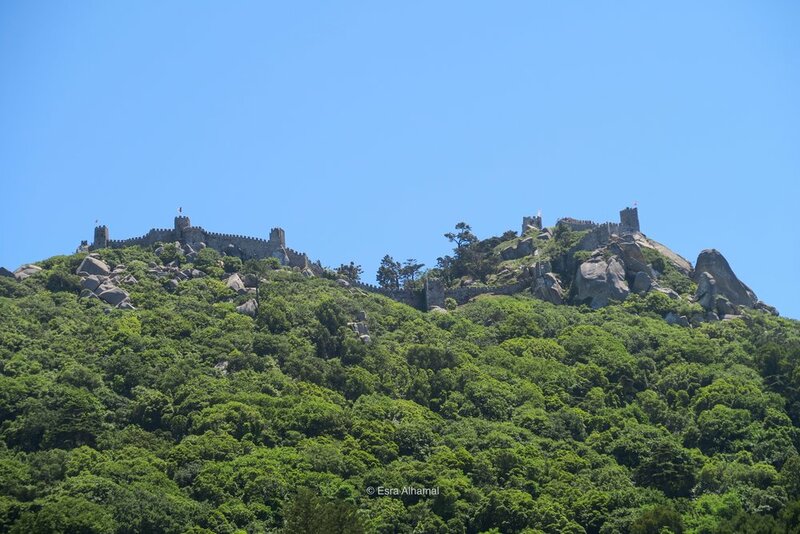 In this post, I am sharing the activities I have done and the places I have visited in Sintra. The great thing is the city knows what people wants to see and they have three possible bus routes that goes from the city centre. Each bus has a specific route that passes by different castles. You might be tempted to walk since the distances aren't huge, but I wouldn't advice you to do so because the hills are very steep and the roads are not big enough for cars and people. The 435 bus takes you to the Quinta de Regaleria. It's a good idea to start with this bus because it stops by the sights located in the lower hill. It only costs 2.50 euros for each stop. The 434 bus takes you to the more popular sights and the queue to get on it is long. We had to wait for the second bus because the first one filled up quickly. It's every 10-15 minutes. It's affordable! It only costs 5.50 euros and it's a hop on and off style. There is a payment bundle that enables you to use all buses and there is a very easy to follow route plan on the bus. One of the buses also stops at the famous Cabo De Roca. That point forms the westernmost extent of mainland Portugal. From there you can walk to the beach! More infromation on that below. This is just facing the historical centre of Sintra and it's the first thing you would see when you get to the city from the bus stop. Hence why I started with it. It was interesting inside and had very detailed designs and some geometric patterns that I loved! The palace used to be the royals residency place from the 15th to the 19th centuries and that's why it's very well preserved. So make sure you visit if you want to see how the royals lived. 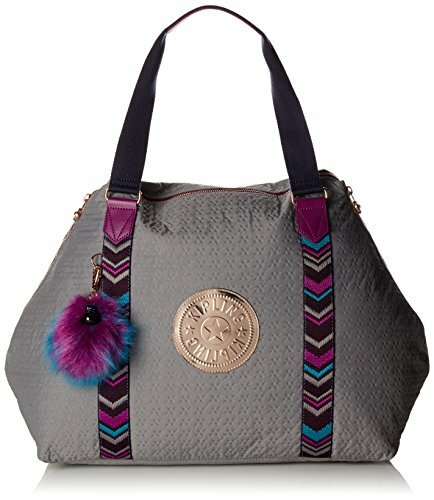 I was very excited about this one because I thought there will be a lot of Moorish influence and patterns, but there wasn't. It was still really good to go up there and walk around. It was more like a fort rather than a castle. 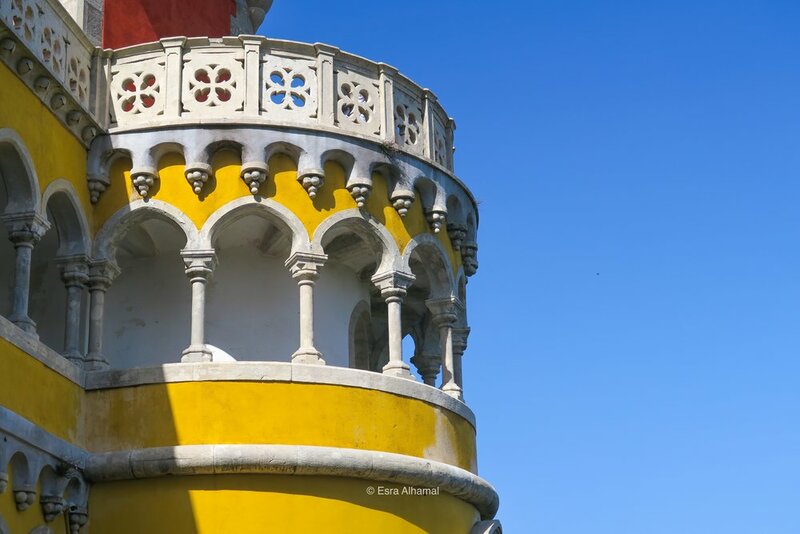 This is the palace you see in most of the Sintra marketing material. The Palace with the sticking yellow and red on top of the hill. I can see why everyone is crazy about it. It is gorgeous and it has colourful patterns and a nice park attached to it. When you get there I would advice you to get their own shuttle bus up to the castle and save some time. It is busy as you would expect, but it was still nice and a little quiet by the end of the day. Other Points of interest in Sintra are the Cabo De Roca and the Praia De Ursa beach. These two are the main reason we stayed the second day in Sintra. Getting to the Cabo De Roca on the bus is a little long. It took over 40mins to get there. The wind there was so cold. It was cool to see it, but the total time spent there was half an hour. 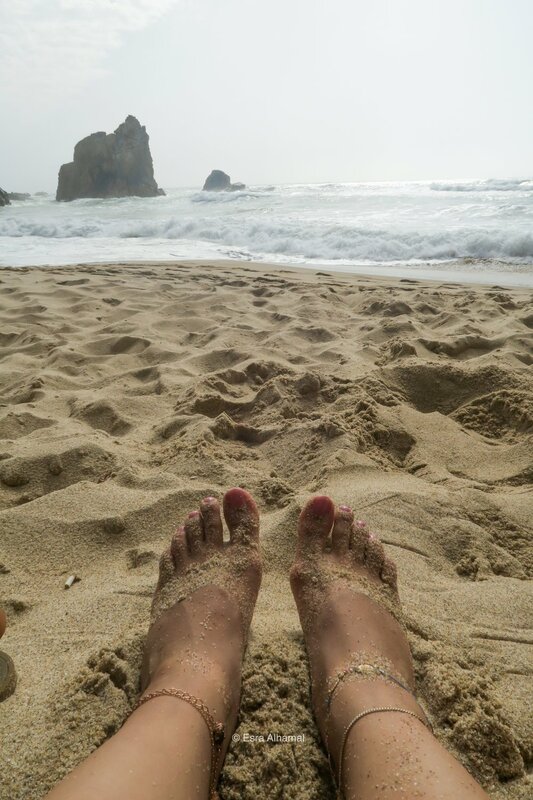 We saw that there is a beach nearby on Google Maps called the Praia De Ursa. Google Maps wasn't much help in term of directions. All we knew was we are on the way to it. We randomly walked down the steep hill and wearing sandals wasn't an ideal thing to do. After walking for an hour and a half (I think we took the very long way down) we got to the beach. It was as quiet as I hoped and I LOVED IT! Getting there at 3pm meant that sun was already light and the water was FREEZING! I would get there for 11pm if I ever go back. It was worth the climb down and UP! 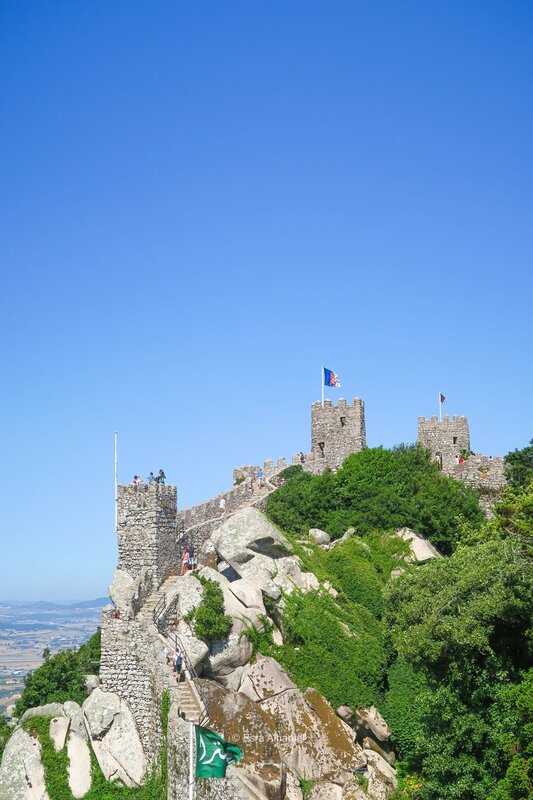 Over to you: What would you like to visit in Sintra?